Understanding your behaviour, and therefore granting the opportunity to manage your behaviour effectively and appropriately is one of the most powerful things you can do. It doesn’t matter what environment, situation, job role you are in, understanding yourself and how you come across to other people in your life will make a huge difference. As you might imagine it has many applications – leaders will know the right style they can use to get the best out of the team they lead, sales people will understand the right style to use to get close and trustworthy to their sales prospects. People in customer service can recognise the behavioural style of their particular customer they are dealing with, and do so effectively. Many companies are now measured on the effectiveness of their customer service. Above all, it allows for the very best decisions to be made in recruitment. It is not enough to just understand somebody’s technical skills or the depth of their experience; you need to ask fundamental questions like “Will this person fit into my business?” “Will they fit well into our culture?” “Will their attitudes and beliefs resonate within our organisation?” Once you know the answers, you have a rich source of information to make a wise decision. Of course, understanding yourself isn’t just for companies; any individual will benefit hugely from this knowledge and be able to reflect on it and its impact on your life so far. It can have a dramatic effect on your relationships, sociability and sense of rapport. It can give a sense of direction to those young people setting out on a career – what sector, what profession, what role will get the best out of me? Naturally these questions are just as pertinent to those more mature people who perhaps feel they have not made the wisest career choices in their career and need guidance for better decisions for a different career path. Why is understanding your behaviour so important? You have the choice to change whatever behaviours you desire; you just have to make the commitment to change. 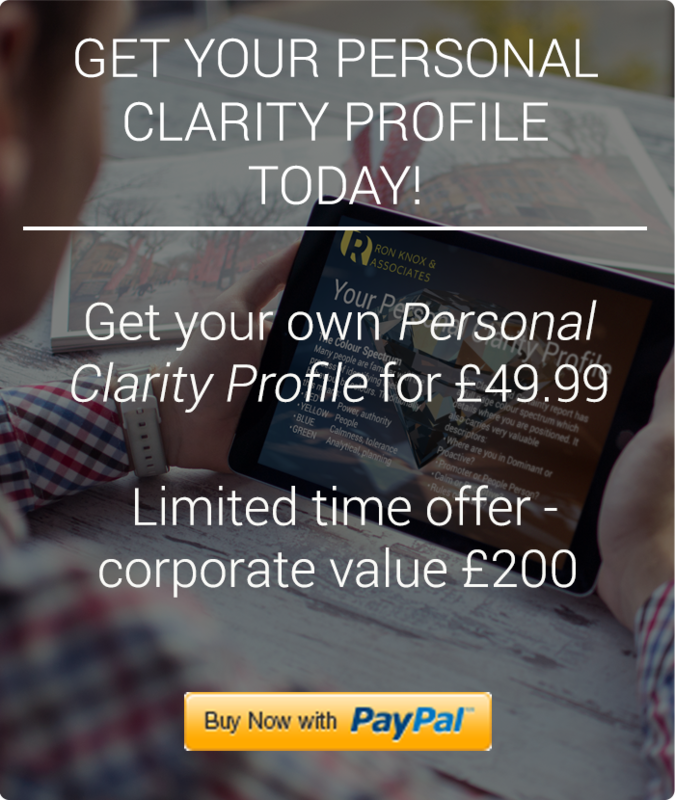 You can read more about how we work, and watch and listen to some of the leading experts in the behavioural field for FREE in our e-book Give Yourself Amazing Clarity. CLICK BELOW, and leave your email address, and we will send it to your inbox right away. Previous Entry How do I implement this? Next Entry How can Clarity Certainty help?